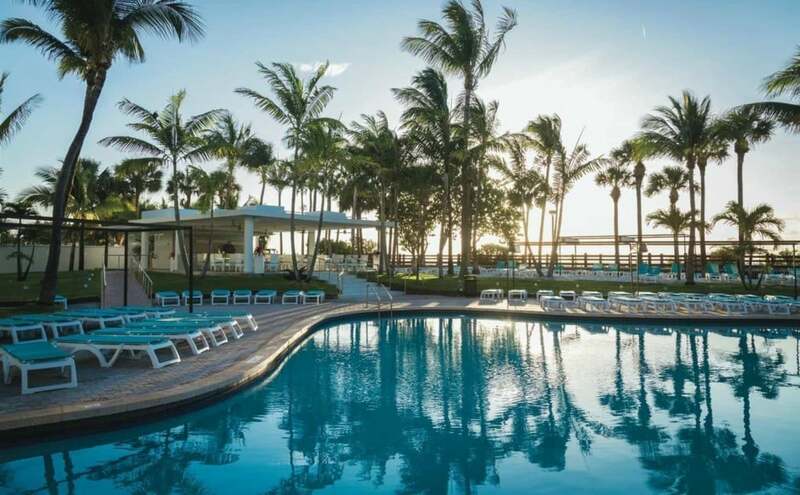 The Riu Plaza Hotel is everything you would expect to find at a Mid Beach Miami Resort. The decor is Florida Tropical with modern furniture, neutral earth tones filled with palm trees. The rooms have a tropical feel with purple accents throughout. The hotel offers free Wi-Fi and has a free Fitness Center. There’s an outdoor patio restaurant, an indoor buffet restaurant, a full service restaurant, and coffee shop bakery. As with all Mid Beach hotels, there is direct access to Miami Beach via path to the Miami Beach Boardwalk. One of the biggest selling points of this hotel is its full size swimming pool, which looks enormous compared to pools at most South Beach Hotels. In addition to the normal pool there is also a kiddie pool. One of the downsides of a Mid Beach location is the cab fare required to get to Central South Beach, it’s a $20 ride each way. If you plan on spending a lot of time downtown this is going to add up. This hotel is one of our top Family Friendly Hotels especially if you have younger children. This hotel is best suited for someone who wants access to Miami Beach but doesn’t need to be in the middle of the South Beach party scene. Hotels similar to this hotel would be the Alexander Hotel, Deauville, or the Confidante. Valet Parking – This hotel offers Valet Parking for $30 per day. Pool – This hotel has a standard pool and kiddie onsite. 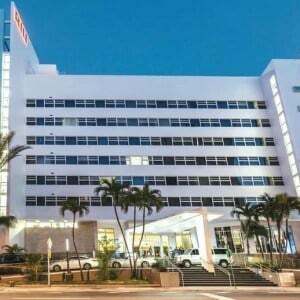 A taxi from Miami International Airport to the RIU Plaza Hotel should be $60. A taxi from Riu Plaza Hotel to Central South Beach should be $20.